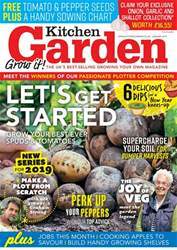 Digital Subscriptions > Kitchen Garden Magazine > 256 - January 2019 > WHAT’S NEW? A scientific study by the Royal Horticultural Society (RHS) has found that some of the traditional remedies thought to deter slugs and snails are totally ineffective. Lettuce that was protected with copper tape, horticultural grit, pine bark mulch, wool pellets and egg shells incurred the same damage as lettuce where there was no deterrent in place at all. One hundred and eight lettuces were sown in a series of pots and raised beds at the charity’s John MacLeod Field Research Facility in Wisley and treated with alternate control methods, including no control at all. The lettuces were grown for six weeks before being harvested and the leaves of each lettuce examined using a leaf area meter that calculated the proportional damage. 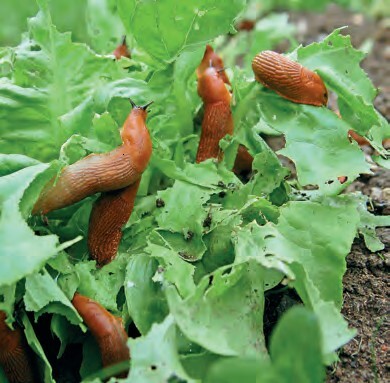 Lettuces planted in the ground were found to be more susceptible to slugs, with 5.7% of each eaten on average. This compares to just 0.2% of those in pots, which, despite this advantage, still yielded less crop. The ready availability of lettuces at ground level is thought to have helped minimise damage to pots.